I used some Lil Inkers Stitched Circles and Squares dies as well as a banner die from Reverse Confetti. 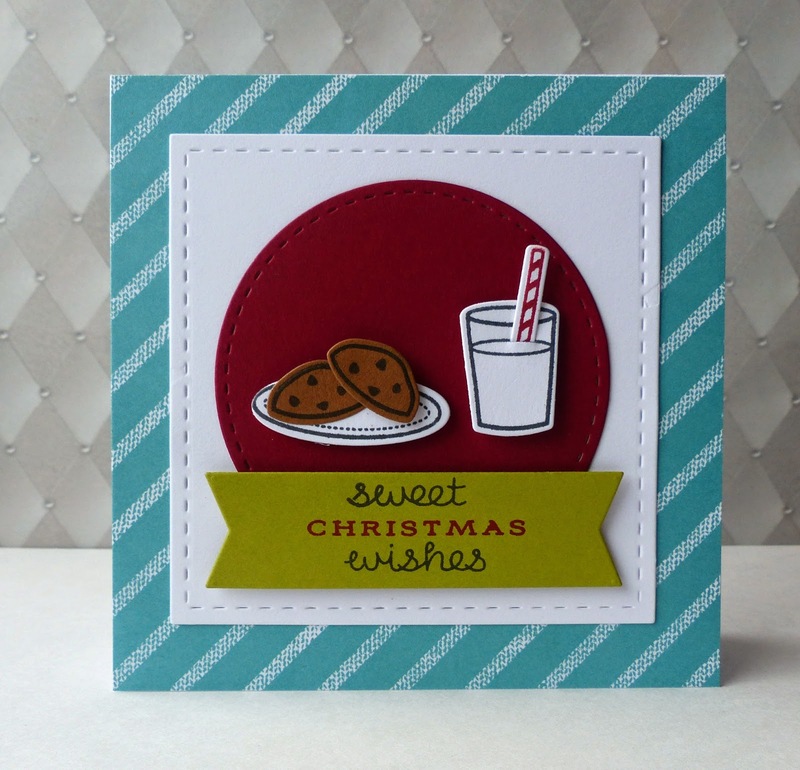 I also added the Christmas sentiment from my PTI KIS Christmas stamp set. The milk and cookies as well as the banner are popped up on some foam adhesive to give it some dimension. The patterned paper is from Fancy Pants and the red ink and paper is SU's Cherry Cobbler which is new to me....I really like it! This layout is just adorable! I love the milk and cookies!!! Thank you so much for playing with the Cutting Edge Challenge!